As promised, I am going to share a Microsoft free tool called AutoCollage as my second installment in my Best Kept Secret in Education series. AutoCollage is just what it sounds like; it is a program that creates a collage for you in a matter of minutes. While creating a collage may not sound ground-breaking for education, because AutoCollage creates the collage so easily and quickly, teachers and students are able to use a simple technology to create a product that can be utilized in various ways. Educators and learners could use AutoCollage in the same way they traditionally utilize poster board collage projects and/or arts and crafts collage projects, but in a fraction of the time. Teachers could use AutoCollage after field trips, class projects, and for end of the year memory books. 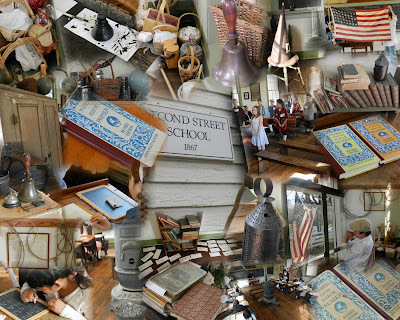 Students could create collages for vocabulary, character studies, historical studies, literature theme studies, and any other image collection project. The key is that because they are able to create the collage so easily, students can move beyond the simple creation of the image and move on to deeper exploration of the collage’s subject. Take the San Diego collage to the left, for example. In a study about different parts of the country, learners may be asked to create a collage of interesting sites to visit in a specific city. 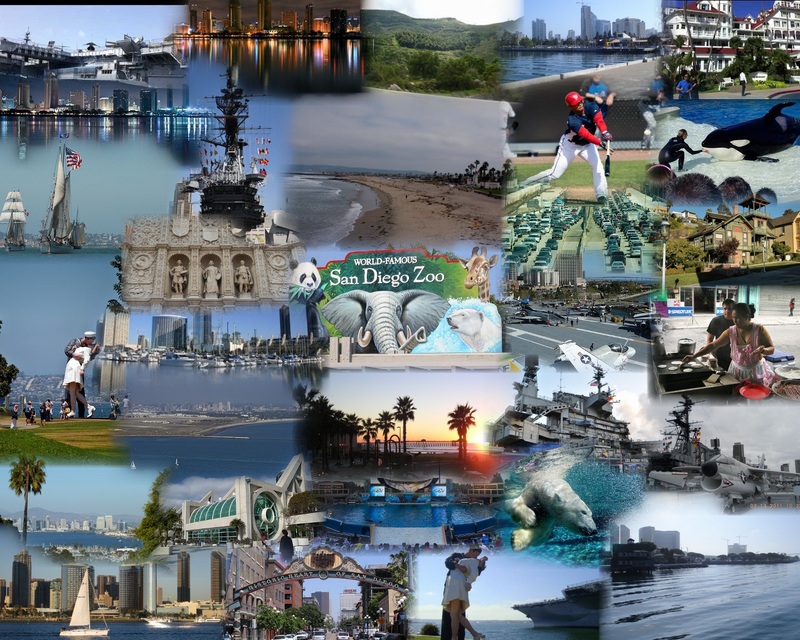 Learners could collect the images and create a collage like the San Diego collage. The assignment could stop here, or the learning could go deeper by requiring students to annotate the collage to explain the significance of each image. Annotation could come in various forms. Some I will discuss in future posts, but one option is ThingLink. ThingLink allows you to upload an image and annotate it. View the same collage annotated with ThingLink. Here you can see I was able to annotate the picture and offer more information about the interesting places to visit in San Diego. Educators could use the same concept to create an annotated collage for students to explore. As I mentioned earlier, some of the methods Sean references in this video, I will highlight in future posts, but hopefully this provides you with some ideas on how to utilize the tool. Intrigued? Then, download the program and start experimenting with how you can use it. To download AutoCollage for free, you first have to become a member of the Partners in Learning Network. Once you are at the site, click on “Join” and become a member. When you are a member, go to the Resources tab and choose Free Tools. On the main Free Tools page, you will find AutoCollage. Select the AutoCollage page and download the program for free. You can even find more tutorials and ideas on how to use AutoCollage on this page. And there you have it – one of the Best Kept Secrets in Education: Microsoft’s AutoCollage. How have you used AutoCollage in your classroom, or what ideas have been sparked by seeing what AutoCollage can do? I love Autocollage, and also just learned about Thinglink and have just started using it. I hadn’t thought about combining the two……great idea! Thanks Laura! I’m glad you liked the idea! Autocollage is fantastic – here’s some extra info to show how to lamke massive documents!